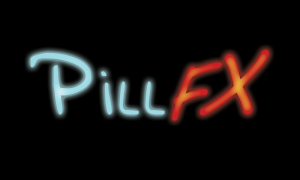 The amount of work I was able to complete within 4 hours for my friend DJ PillFX makes me rather proud. 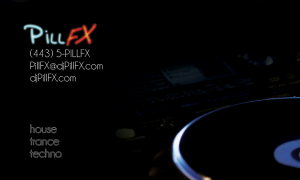 My friend and old college roommate, Ratish Pillai, going these days by PillFX, needed business cards. He was spinning a big gig in the next week and knew it was an opportunity to get further business. The best way to get word out about yourself to people around you while your hands are busy is to have something speak for you. In this case, he wanted business cards. While I had to make some compromises, in the interest of time, the result is good. PillFX was very happy with the cards. The font choice and color choice was his. The idea for the neon look was also his. The ring on the lower-left of the front is meant to be ambiguous – to look like a ring of light. The faded background shows that the ring of light is actually a CDJ, a DJs tool for spinning. Part of the process was to create a logo. While we had little time to do that, it came out well. I would not consider this a proper logo by any account – it does not consider the b/w viewing, it is not a metaphor for the brand, and the lines are rather messy. But again, not bad for so little time. Below are images of the final product. And I will work to later show a bit more of my process around this project, it is rather revealing.